STATEHOOD:On March 30, 1867, United States Secretary of State William H. Seward signed the Treaty of Cession of Russian America to the United States. The United States paid Russia $7,200,000, about 2 cents an acre, for the territory that was to become the state of Alaska. Some Americans opposed the purchase. Derogatory nicknames such as Seward's Folly, Seward's Icebox, Icebergia, Walrussia, and Polaria were heard across the country. 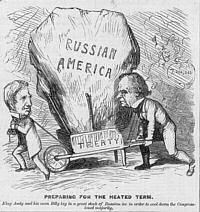 The political cartoon, to the right, refers to President Johnson as "King Andy" and to William Seward as the king's man, "Billy," and indicates that they will have a tough time getting the purchase approved by the United States Congress. Many Americans favored the idea however and Congress approved the purchase. On October 18, 1867, American soldiers raised the United States flag over Sitka. For 17 years after that, Alaska was without any formal government. 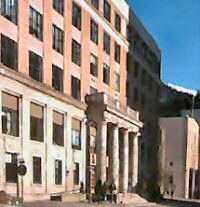 First the area was presided over by the War Department, then the U.S. Treasury, and then the Navy Department. Finally, in 1884, Congress passed the first Organic Act, which defined Alaska as a civil and judicial district and allowed for a governor, a code of laws, and a federal court. Momentum was building. 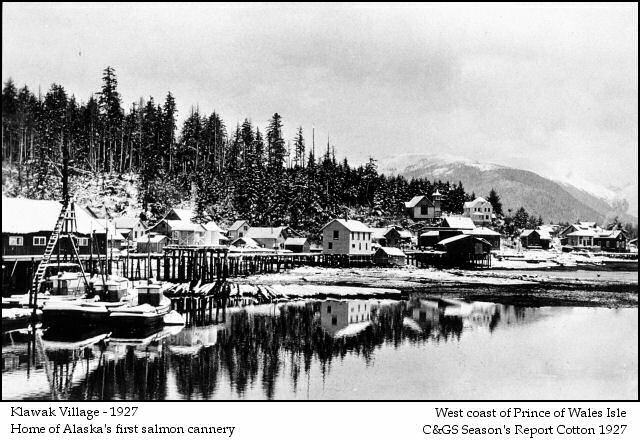 Interest in the area's salmon fisheries had caused the first canneries to be built in Alaska in 1878. The discovery of gold in 1880 and the gold rush of 1897-1898 attracted thousands of people hoping to strike it rich. Alaska's population nearly doubled, in ten years, to 63,592 by 1900. Over the years, some small allowances were made for Alaska and in 1912 Congress passed the second Organic Act, which allowed Alaska a territorial legislature with limited powers. The first Alaska statehood bill was introduced in Congress in 1916, but it never received a hearing. With World War II, the United States recognized a strategic importance in Alaska. In fact, Kiska and Attu islands, two islands of the Aleutian Islands chain were occupied by the Japanese. 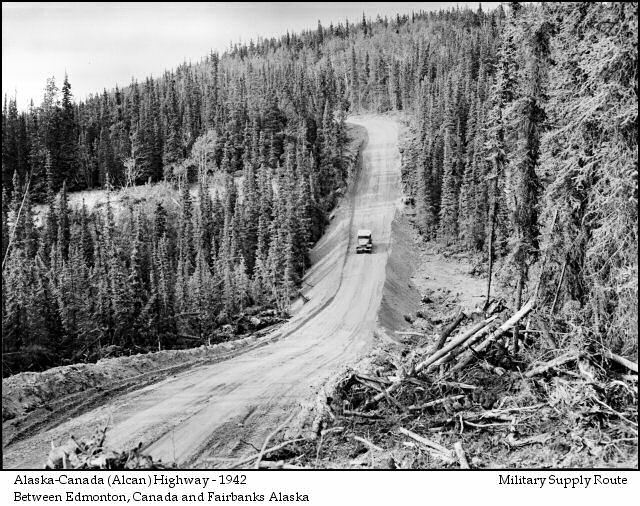 The United States built the Alaska (Alcan) Highway in 1942 as a military supply route. In 1943, about 143,000 military personnel were stationed in Alaska. 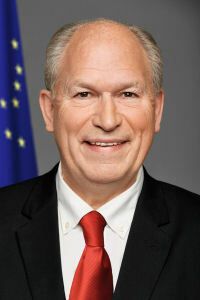 The United States recovered Kiska and Attu islands later that year and the demands for Alaska statehood increased. Additional bills were introduced throughout the mid-1940s, but it wasn't until 1958 that Congress voted to admit Alaska to the Union. Alaska was inducted into the Union in 1959. On January 3, 1959, President Eisenhower signed the official declaration, which made the territory of Alaska the 49th state. Alaska became the first new state admitted to the Union since 1912. The headline in the Anchorage News read "IKE SAYS: YOU'RE IN NOW!" 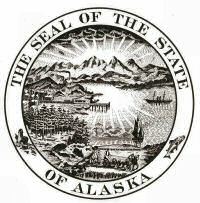 The Alaska Territory Constitutional Convention adopted the Alaska Constitution on February 5, 1956. The citizens of Alaska ratified it on April 24, 1956. It became effective when Alaska was formally inducted into the Union on January 3, 1959. 1. INHERENT RIGHTS:This constitution is dedicated to the principles that all persons have a natural right to life, liberty, the pursuit of happiness, and the enjoyment of the rewards of their own industry; that all persons are equal and entitled to equal rights, opportunities, and protection under the law; and that all persons have corresponding obligations to the people and to the State. STATE MOTTO:The United States purchased Alaska from Russia in 1867. In 1963, the Alaska Centennial Commission was organizing for the celebration of the event in 1967. In preparation, they sponsored a contest to come up with a centennial motto that would express the quality of the state. They offered a $400.00 prize to the winning entry. In December 1963, the commission announced that they had selected Juneau newsman Richard Peter's suggestion, North to the Future. The motto represents a forward-looking optimism, a state of promise. Richard Peter is quoted that the motto "...is a reminder that beyond the horizon of urban clutter there is a Great Land beneath our flag that can provide a new tomorrow for this century's 'huddled masses yearning to be free.' "
STATE GOVERNMENT:Alaskans elect a governor and a lieutenant governor to four-year terms. The governor, who appoints the heads of all state departments and many other officials, is considered one of the most powerful governors in the United States. The United States Congress authorized the construction and an initial amount of money for the building in 1911,	but construction did not begin until 1929. Territorial Governor George A. Parks broke ground for the new capitol on September 18, 1929. Construction on the capitol building was finished in 1931, 28 years before Alaska became a state in 1959. Today the Alaska Capitol houses the offices of the state legislature, the governor, and the lieutenant governor. Construction is brick faced reinforced concrete. The lower facade is faced with limestone. The limestone and marble used in the four columns of the portico and in the lobby came from Prince of Wales Island in southeast Alaska. A replica of the Liberty Bell, given to Alaska as part of a promotional campaign for U.S. Savings Bonds, stands in front of the building. STATE REPRESENTATION:The Alaska Legislature is composed of two bodies like the United States Congress, the House of Representatives and the Senate. The Alaska Legislature is responsible for making the laws in Alaska and for raising and distributing the money necessary to run the state government. STATE REPRESENTATIVES:Representatives in Alaska each represent people in a specific area of the state. These areas are called house districts. There are currently 40 men and women representing 40 House districts in the Alaska House of Representatives. 23 representatives are Republicans and 17 are Democrats. Each representative serves for a period of two years in the House of Representatives, after which he or she must run for re-election. STATE SENATORS:Senators in Alaska each represent people in a specific area of the state. These areas are called Senate districts. There are currently 20 men and women representing 20 Senate districts in the Alaska Senate. 11 senators are Republicans and 9 are Democrats. 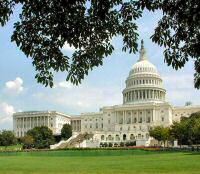 Each senator serves for a period of four years in the Senate, after which he or she must run for re-election. LEGISLATIVE PROCESS:The legislative branch of government is responsible for making and maintaining laws within their jurisdiction. United States representatives and senators, federal legislators, are responsible for laws at the national level and state legislators are responsible for laws at the state level. A law begins as an idea that is introduced to legislators as a bill by one or more legislators. The bill then goes through the legislative process to become a law. During this process the bill may be changed. Not all bills become law. CURRENT LEGISLATION:When the legislature is meeting, it is said to be "in session." Most years the Legislative session begins meeting (convenes) on the second Monday in January. But, in the year following a gubernatorial (governor election) election, the legislature convenes on the third Monday in January unless that happens to fall on Martin Luther King Jr. Day, in which case it convenes on the Tuesday after. Session ends (adjourns) after a period of 120 days. In other words, Alaska legislators meet in January for a period of 120 days each year. The following link will allow you to look at bills that are currently going through the legislative process. 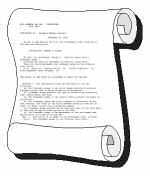 STATUTES AND REGULATIONS:The following link will allow you to look at Alaska's current laws and regulations. BOROUGHS, NOT COUNTIES:The United States Constitution does not define local government. Instead, this function is left up to the states. Alaska is divided into 16 boroughs and 11 geographical census areas. The largest borough, the North Slope Borough, has a land area of 87,860 square miles. The smallest borough, the Bristol Bay Borough, has a land area of 519 square miles. The most populated borough, the Anchorage Borough, has a population (2000) of 260,283. The least populated borough, the City & Borough of Yakutat, has a population (2002) of 808. The citizens of Alaska elect two people, like every other state, to represent them in the Senate and one person, based on Alaska's population, to represent them in the House of Representatives.